Hygenex understands that you want to provide your customers with the paper hygiene services they need as well as be conscious of your carbon footprint on the environment. We also know that the average U.S.-based business suffers from paper supply waste and theft at a significant rate. We can help businesses virtually eliminate theft, drastically reduce waste, and remove a lot of their inventory issues. Our systems are efficient and cost effective. 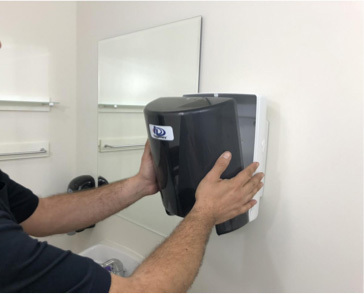 Additionally, we maintain the dispensers and leave the proper amount of paper each and every week, allowing customer employees to focus on their jobs. Ordering, tracking, inventory, and storage hassles are no longer a concern. We take care of all of your paper hygiene services for you.